Referred customers are more proftable and loyal than other customers. Word of mouth is free. Even if you ofer an incentive, you pay nothing until the referred party purchases. 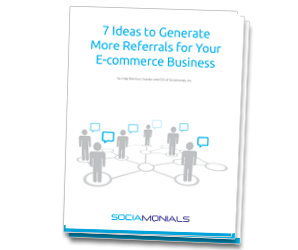 A properly setup referral marketing program is simple to launch, yet it can pay dividends for the life of your business. SEO. Google rewards websites that are shared on social media. It's OK to send me email updates. Please share to all social media networks below.